This plasmid was derived from pSac-Cm by insertion of biobrick compatible restriction sites (prefixes and suffixes), a terminator (BBa_B0015) after the suffixes sequences, and red fluorescent protein sequence (RFP) in between the prefix and suffix in its multiple cloning sites (MCS). New biobricks can be inserted into this vector by replacement of the RFP biobrick, and selection of the white colonies. This backbone has a multi host replication origin and replicates in E. coli. The plasmid is designed to integrate a cloned insert into the B. subtilis chromosome via double recombination between plasmid and chromosomal sacA sequences, and in order to check for integration a simple Phenol Red Sucrose test can be perform, if sacA is no longer functional, they will remain ph7, if they are still able to digest sucrose their pH will be under 5. Groningen team 2012 have showed that this plasmid is functional in E. coli. 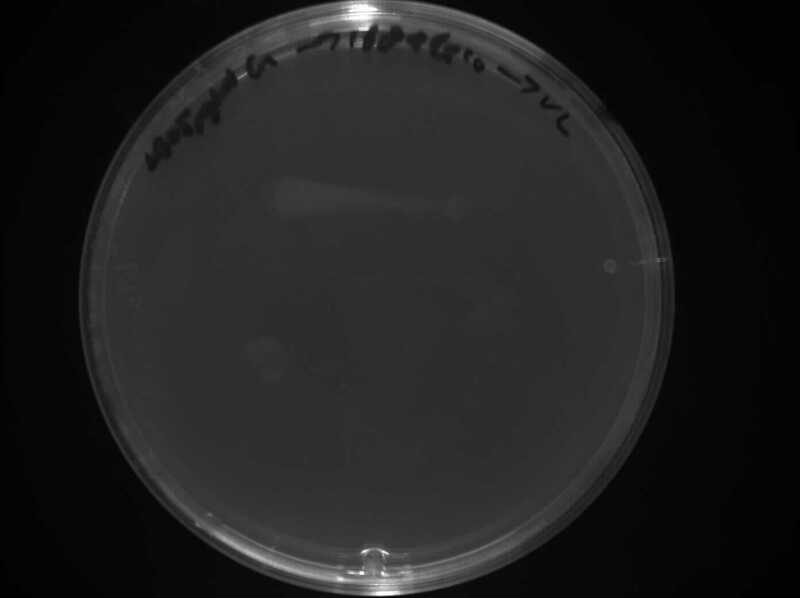 This plasmid can be used as cloning tool in E. coli by selecting the white colonies from the red colonies after transformation (the plasmid in the red colonies has no insert; the RFP sequence is not replaced by the insert). This plasmid backbone is designed to be used as an integration plasmid in B. subtilis, but they did not show that the backbone is actually functional. We found that that the integration plasmid that groningen send to the registry were unable to integrate in B. subtilis. This is due to the high number of mutations in the sacA integration region.This BioBrick was designed to be used as an integration backbone for the ‘’B. subtilis’’ by integrating at the ‘’sacA’’ region of the endogenous chromosome via double crossover. SO WE HAVE IMPROVED THIS PART THROUGH SEQUENCING and MAKE IT FUNCTIONAL IN B. subtilis as intended. Below shows the experiments that we did to show that this plasmid was not working before, and the results of sequencing that we did. The correct sequence has now been uploaded into the DESIGN PAGE OF THIS BIOBRICK. We transformed this backbone into ‘’B. 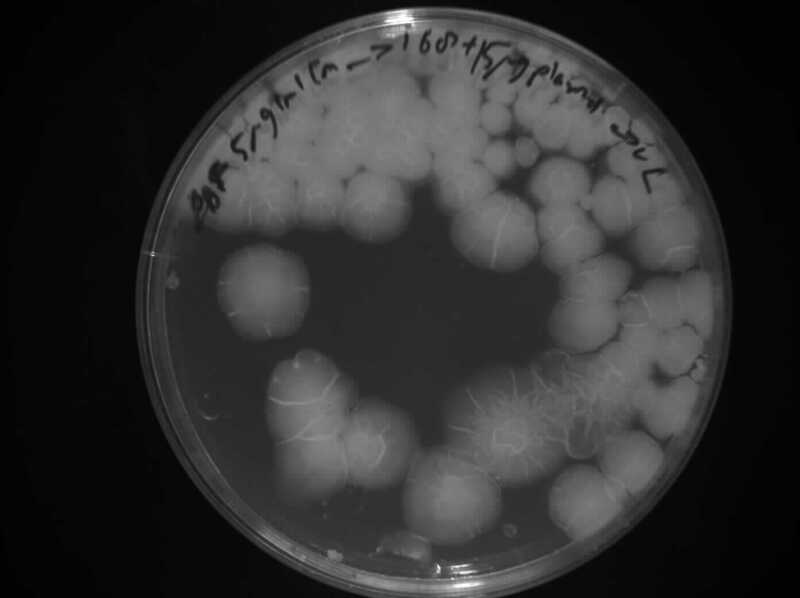 subtilis’’ but as can be seen in Figure 1, no colonies were found on the ‘’B. subtilis’’ str. 168 + pSac-Cm derived integration plasmid, however the positive control ‘’B. subtilis’’ str.168 + pGFPrrnB (integrates at amyE) did work, which suggested that this backbone was not integrated. Plate 1: B. Subtilis str. 168 transformed with pGFPrrnB. Plate 2: B.subtilis str. 168 transformed with H20(negative control). Plate 3: B. subtilis str. 168 with pSac + Cm derived plasmid. Figure 1. 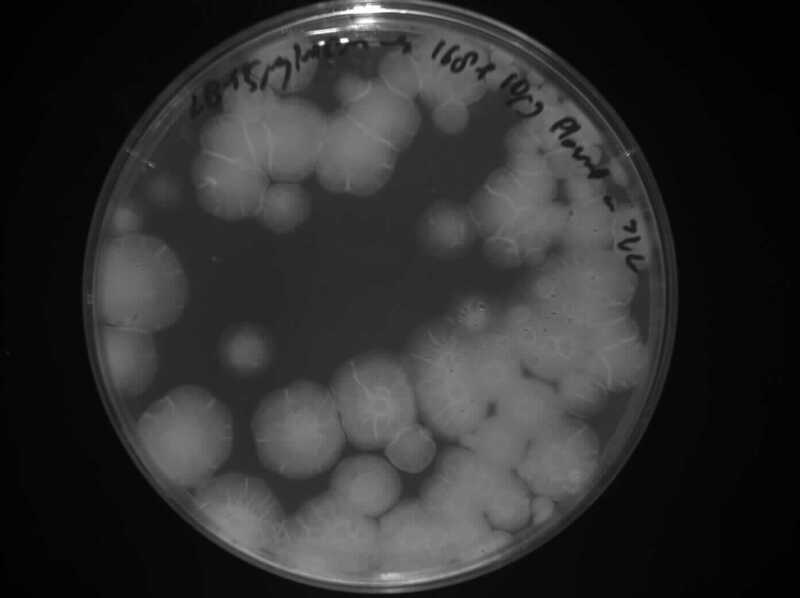 Plates of B. Subtilis str. 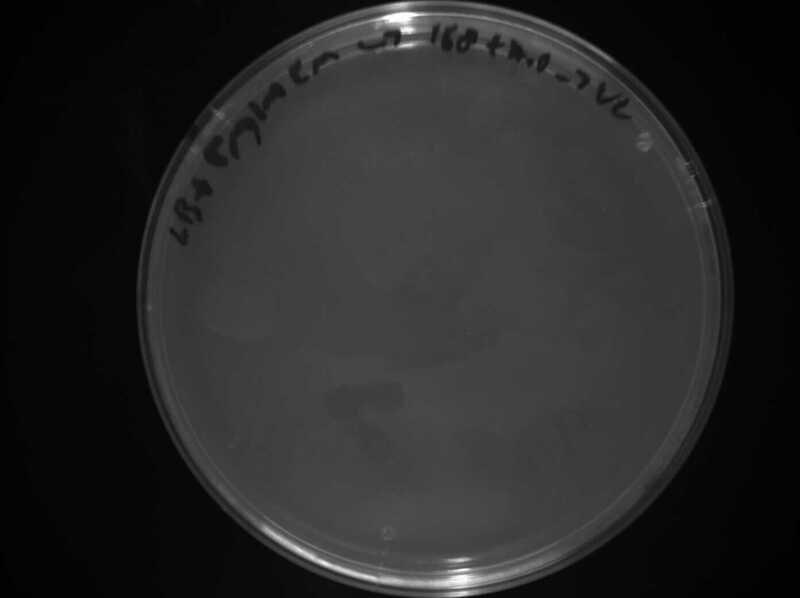 168 transformed with the pSac+Cm derived plasmid, pGFPrrnB (positive control) and water (negative control). 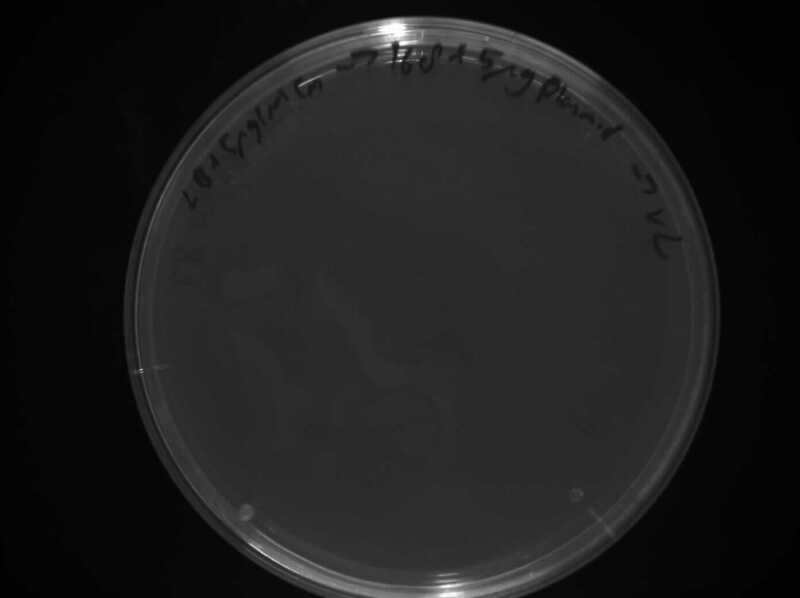 We repeated the transformations using higher concentration of plasmids 5ug, 10ug, and 15ug and plated them onto the LB + 5ug/ml Chloramphenicol plates. 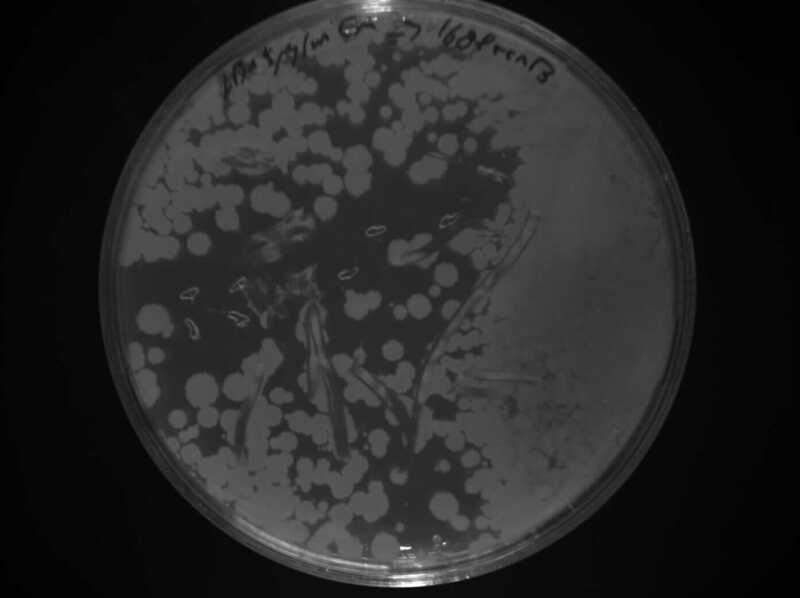 The results Figure 2, shows that there were colonies growing on the 10ug and 15ug plates. B. subtilis str. 168 with 5ug pSac + Cm derived plasmid. B. subtilis str. 168 with 10ug pSac + Cm derived plasmid. B. subtilis str. 168 with 15ug pSac + Cm derived plasmid. B. Subtilis str. 168 transformed with pGFPrrnB. Figure 1. 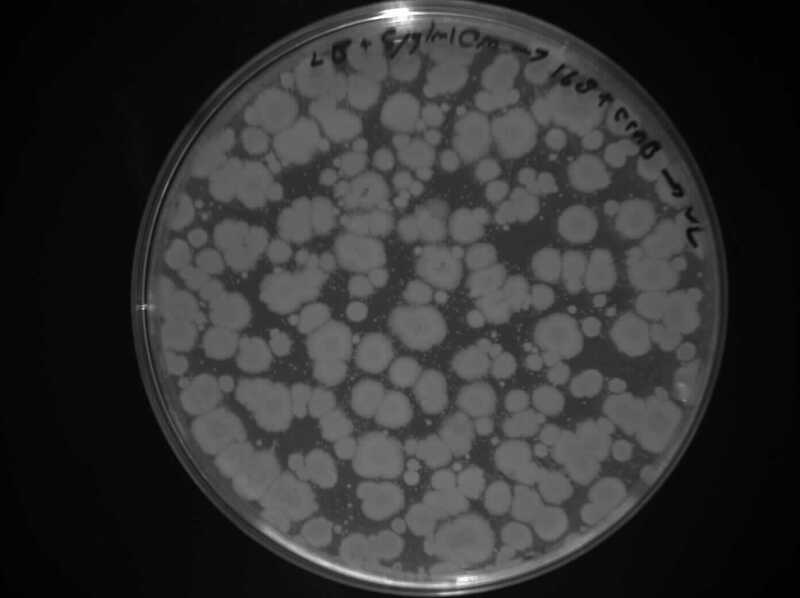 Plates of B. Subtilis str. 168 transformed with 5,10 and 15ug pSac+Cm derived plasmid, pGFPrrnB (positive control) and water (negative control). To test for integration, we used the Phenol red Sucrose test; the media where the transformants from the 10ug and 15ug plates were inoculated showed the same results as the control (‘’B. subtilis’’ + pGFPrrnB) with pH ranging between 4.6 – 5.2 suggesting that they could utilized sucrose as their carbon source and produced the acid by products, Figure 3. Figure 3. Display the pH of each samples following the Phenol Red Sucrose test on overnight grown culture in LB + 1% Sucrose media. We then sequenced the backbone and found out that there were 49 mutations which include SNV, deletions and insertions.Table 1 display the mutations found on the sequence. Table 1. Shows all the mutations found in the BBa_K818000 backbone. Table 2. Shows list of mutations found in the BBa_K818000 backbone, including the position, region and type of mutations after analysing the initial sequencing and the sequencing of highly mutated regions. Figure 4. shows a screen shot of the pSac-Cm derived integration plasmid sequence analysis that we performed. It shows the amount of coverage, where the mutations are. The results from both sequencing run proved to show similar mutations were found on this backbone, most of the mutations occurred in the sacA integration regions. These results explained the reason why this pSac-Cm derived integration backbone for ‘’B.subtilis’’ were not working. To get round this problem, we have uploaded a new sequence of this pSac-Cm derived integration plasmid. The sequence that we uploaded contain the correct preffix and suffix and also all the correct sacA sequences for integration in B. subtilis. We have successfully made this backbone not only compatible with E. coli but also B.subtilis.